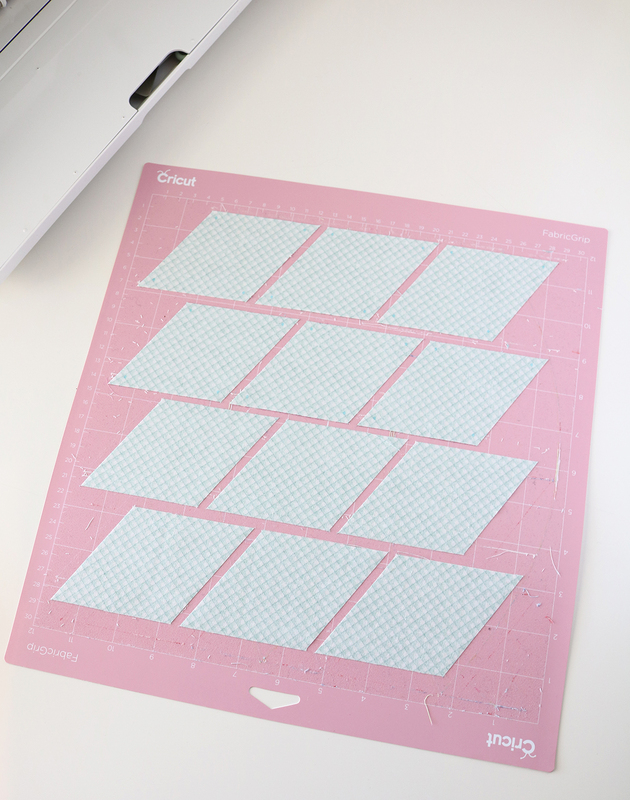 I have a fun new ruler to share with you today! Well...it's been around for a bit, but it's new to ME and maybe to you to! 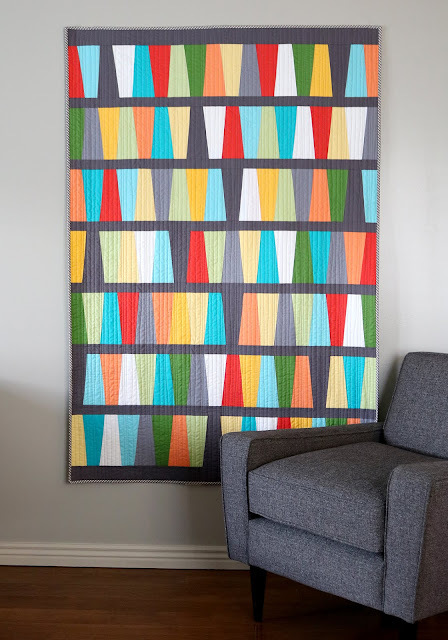 This is called the Fab Five Ruler, designed by Abbey Lane Quilts. It's what I would call a wedge shape - taller than a tumbler, and not as narrow as a dresden wedge. 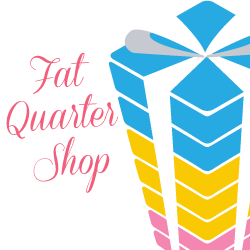 And today I'm joining with the Fat Quarter Shop for their Fab Five Ruler blog remix! 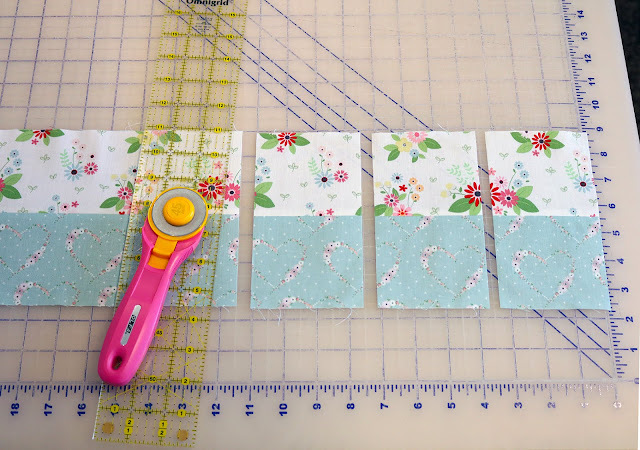 Four bloggers are sharing their projects that they've made with this ruler. So what can this ruler do you ask? This! I used the same cutting and sewing instructions to sew rows of 8" tall wedge shapes. I loved the look and it was so fast and easy to sew them together...so I just kept going! I ended up making seven, 46"-long rows. I added some dark gray 2" sashing strips to separate the rows. The sashing strips also made it so I didn't have to worry about matching seams from row to row - bonus! The quilt finished about 45" x 66" - perfect crib size or small throw quilt size. Want to see what else you can do with this ruler? 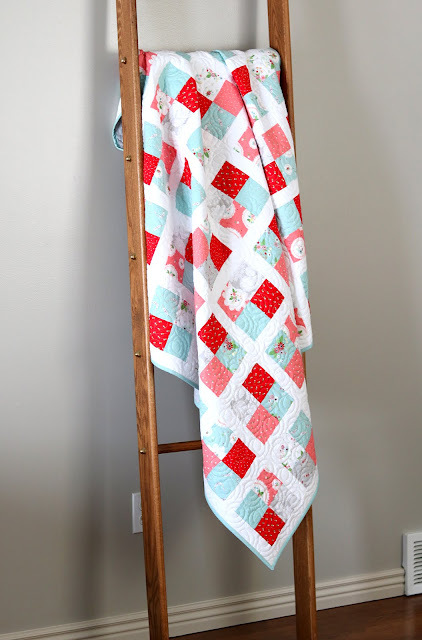 Abbey Lane Quilts has several patterns here that use the ruler. It's a fun one and I recommend adding it to your ruler collection. I'll definitely be reaching for this one again - I just love the unique shape! 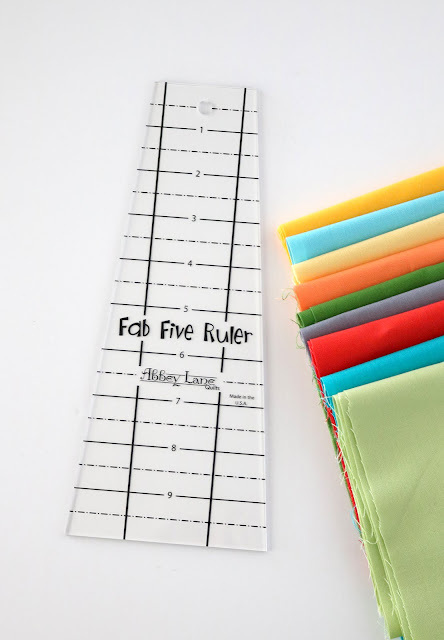 If you make something using the Fab Five Ruler, share it on social media and use #fabfiveruler and #fqsremix so we can all see what you've created! The book is called Text It! and it's filled with projects that each use text in really fun ways. There are 10 total projects and there's quite a variety of techniques --like english paper piecing, fusible applique, wool applique, and needle turn applique. And....it comes with 7 full-sized alphabets. 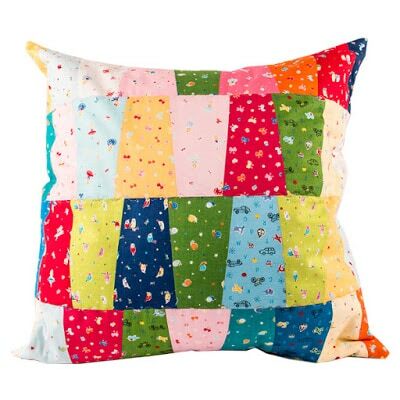 This pillow was a new challenge for me! 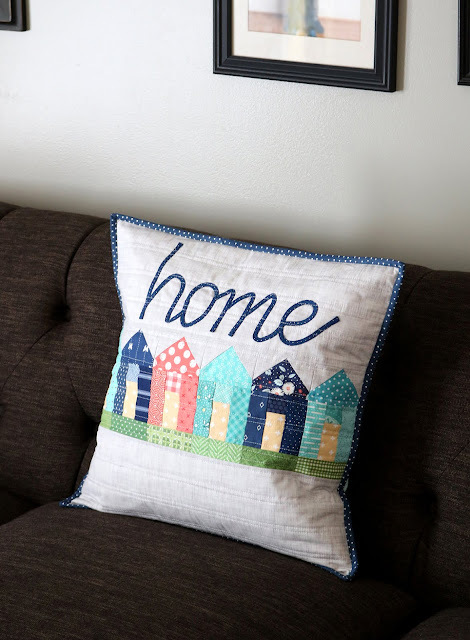 I've never done text applique quite like this but I LOVE the result. 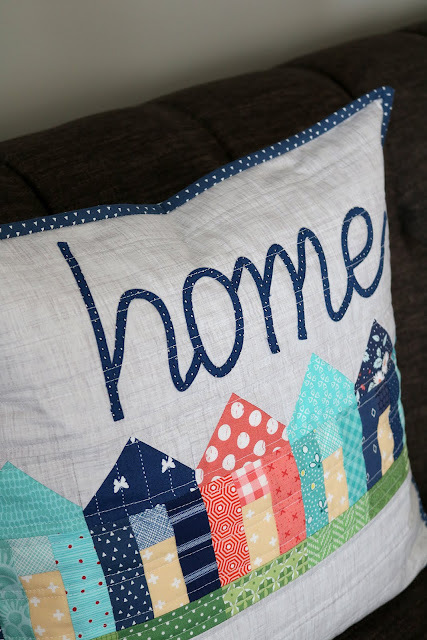 The text is made with thin bias tape and double-sided fusible tape. 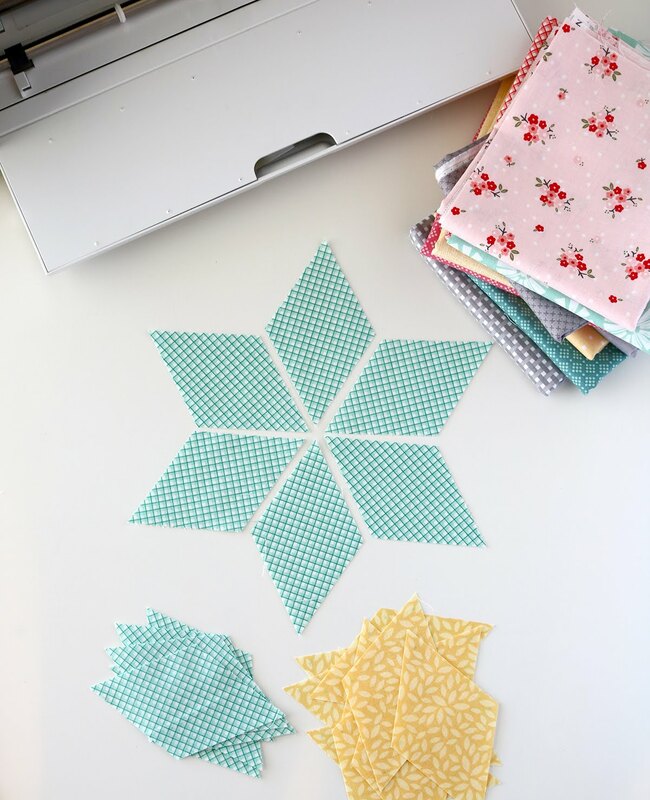 When I first saw the project I was a wee bit intimidated but Sherri has great instructions in her book! Want a signed copy of the Text It book? You can buy that here from Sherri! You can also find the book for sale here on Amazon, and here at the Fat Quarter Shop. 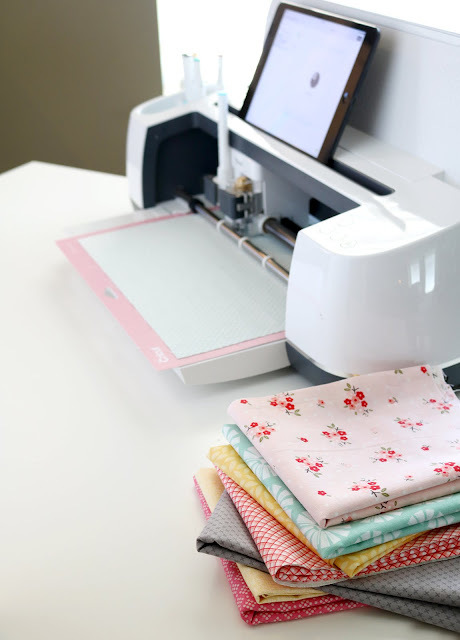 The second giveaway is from Aurifil and they are generously offering two large spools of thread to one of you lucky stitchers- open to everyone worldwide. 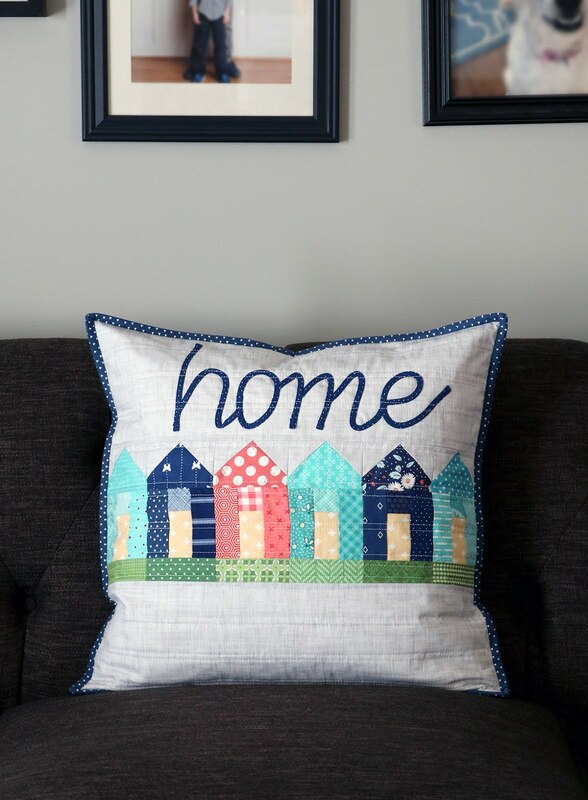 To enter the giveaway simply leave a comment below letting me know where you live (city & country). It will be interesting to see where everyone resides! If you're a no-comment blogger, please be sure to leave your email address in your comment so I can contact you. Giveaway is open until this Sunday, March 17, 2019 at midnight MST. Giveaway is now closed - thank you! 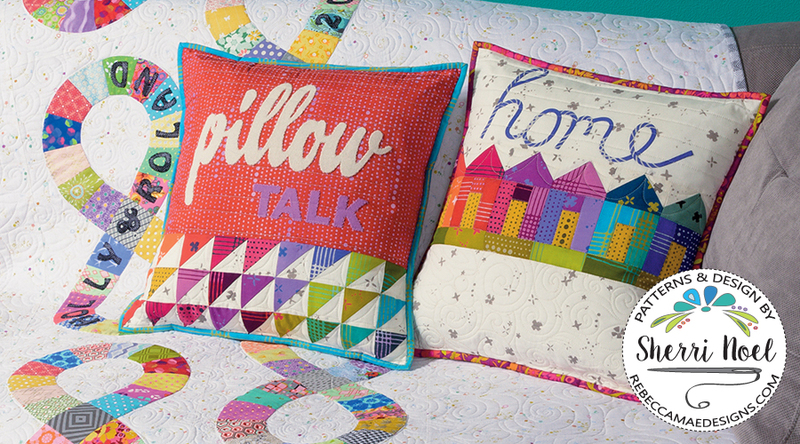 Hello to any new friends visiting this week from the Splendid Sampler sew along! 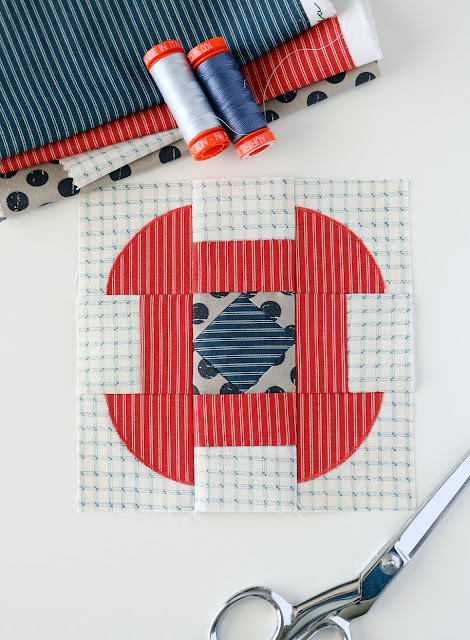 It was an honor to design a block for the Splendid Sampler II book, and today I get to share my block along with some details about something I call my stitch catalog. More about that in a minute! My name is Andy Knowlton and I'm a pattern designer and quilter who loves color, sewing with scraps, trying new techniques and sharing them with you. 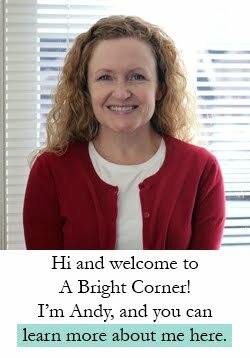 I blog here at A Bright Corner and you can also find me on Instagram (@abrightcorner), Facebook and Pinterest. 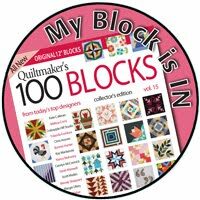 The block I designed for the Splendid Sampler is called Sewing Circle and can be found on page 86 of the Splendid Sampler book. I often like to mix traditional piecing techniques with some shortcut techniques - like machine applique - and this block is a great example of that! No curved piecing here thank you very much. 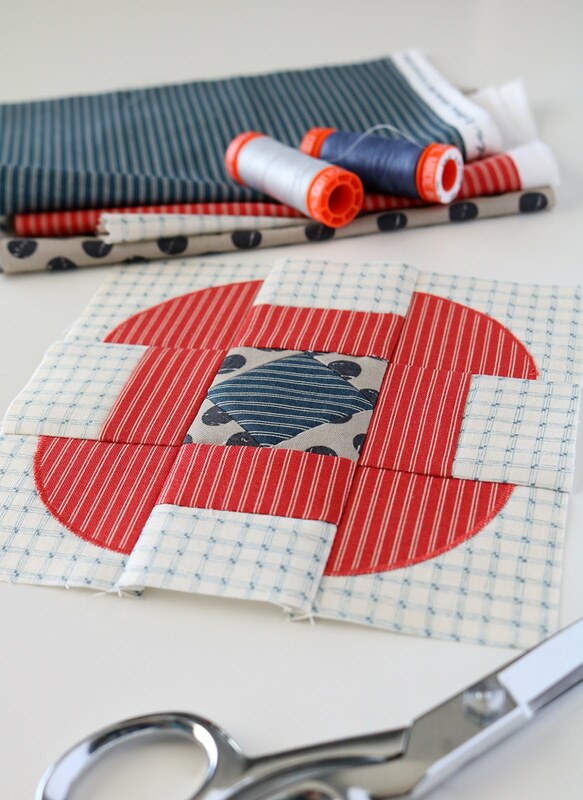 In the block above I used a narrow zigzag stitch for the machine applique, and in the block below I used a blanket stitch. 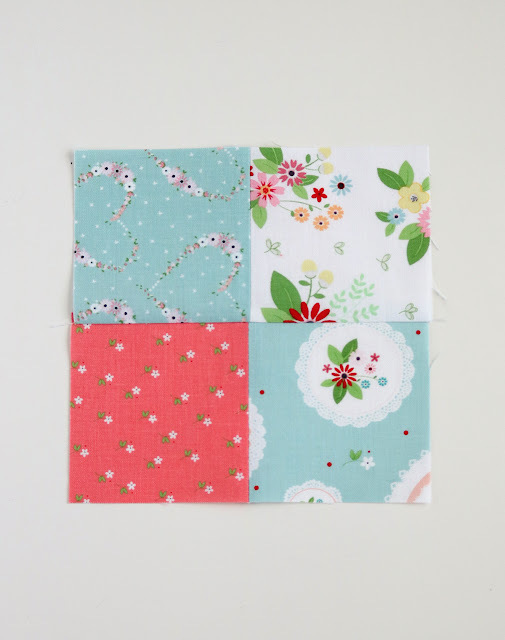 This pretty pastel block is the one I'll be adding to my own sampler quilt. 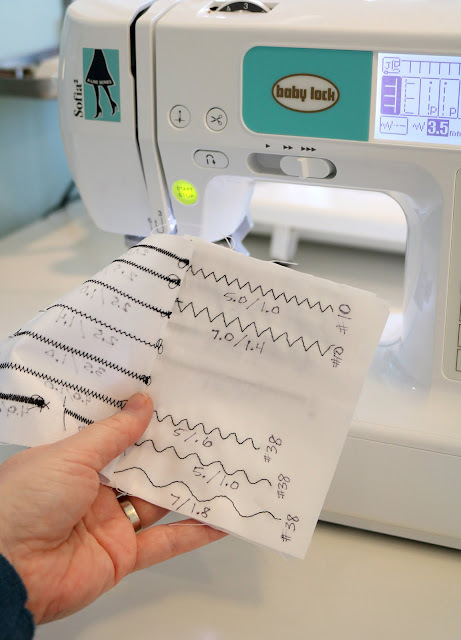 Now if you're like me, you might not use what I call "fancy stitches" often enough to remember what settings you prefer. Years ago I created a little stitch catalog of my favorite stitches. I keep my stitch catalog under my presser foot so I always know where to find it. In this little catalog I have examples of my most-used stitches along with the stitch number, the stitch width and the stitch length. 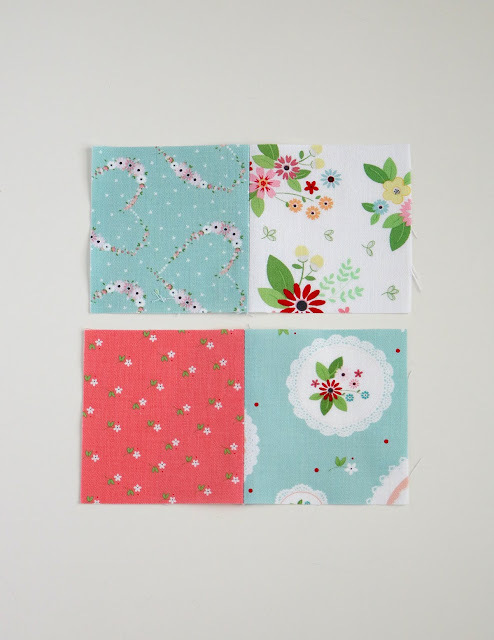 When I'm needing to do a bit of machine applique, I can refer to this to decide which one I'd like to use. It's super handy! Want to make one? Here's how! 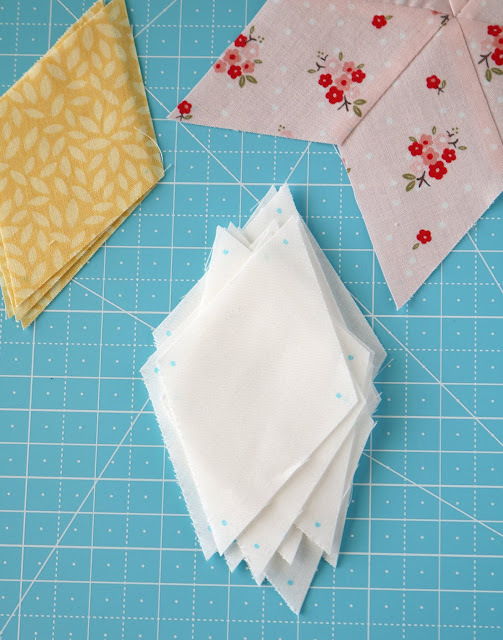 Cut 5 or 6 fabric rectangles that are 4" x 5". 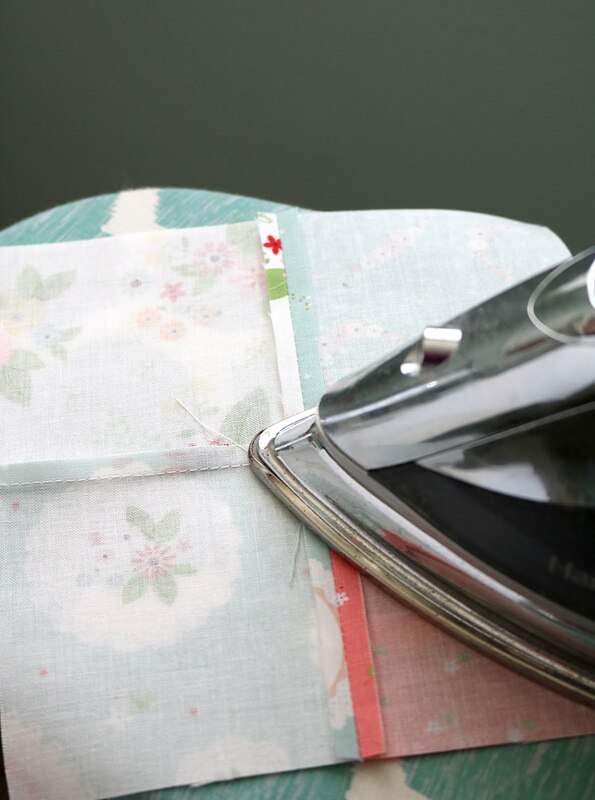 Stack them together and secure them like a book by stitching down the left side with a straight stitch. 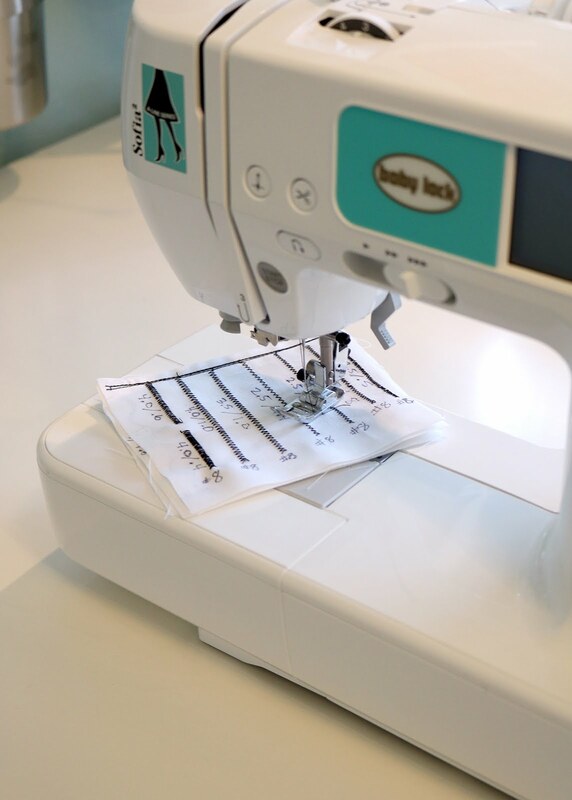 Time to add your favorite stitches. 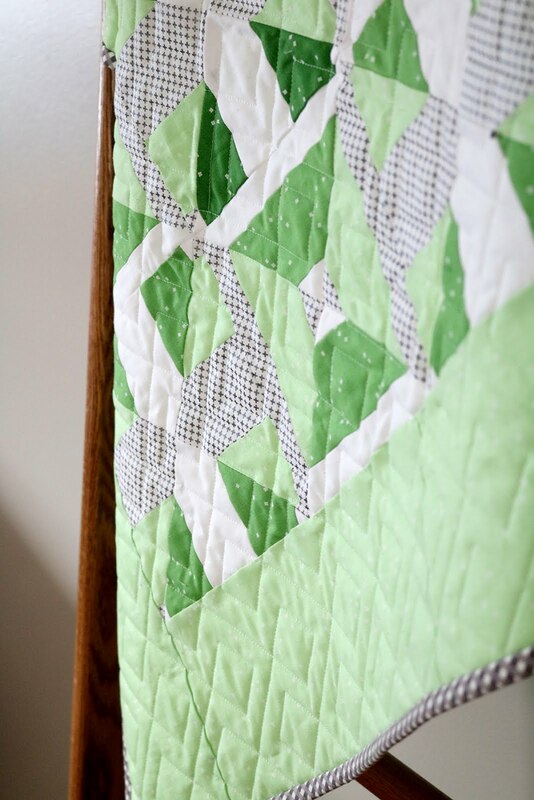 I used a black Aurifil thread that would contrast with the white fabric. Stitch one line, then use an ultra fine point sharpie or fabric marker to write the stitch number and settings. I write the stitch width / stitch length underneath the row, and the stitch number at the end of each row. It's okay if you don't completely fill your catalog right now - leave some space or even add a blank page or two at the back for adding in other stitches later. And there you go - your own stitch catalog to refer to! Thanks for stopping by! 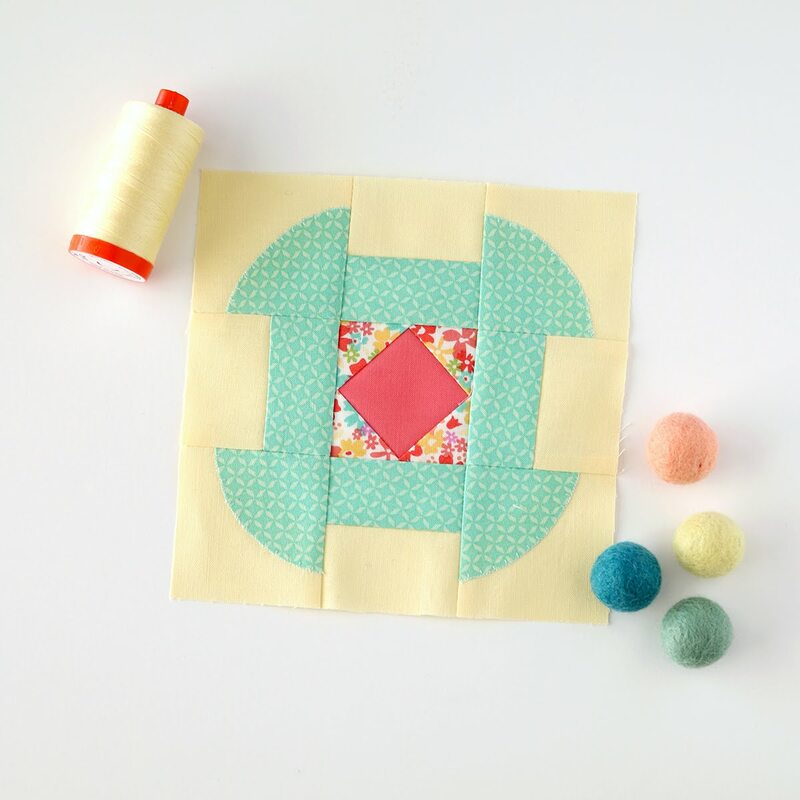 Be sure to add your blocks to the Splendid Sampler website so you'll be entered to win this week's giveaway. 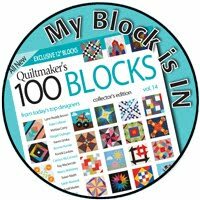 And I love seeing everyone's blocks in the Facebook Group so check in there this week too! 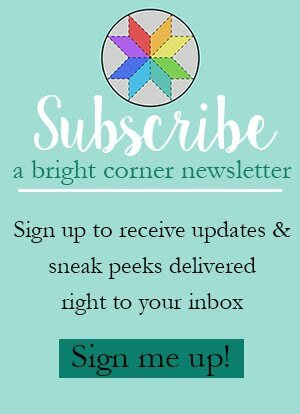 Want to receive tips, free downloads, sale announcements and other inspiration from me right in your inbox? Subscribe to my newsletter here! My pattern shop can be found here. Three new patterns will be hitting the shop soon! The full list of tutorials found on my blog is here - feel free to add any of them to your Pinterest boards for later! If you're looking for the Splendid Sampler II book you can find that here on Amazon. This post is sponsored by Cricut. All thoughts and opinions are my own. Post may also contain affiliate links. 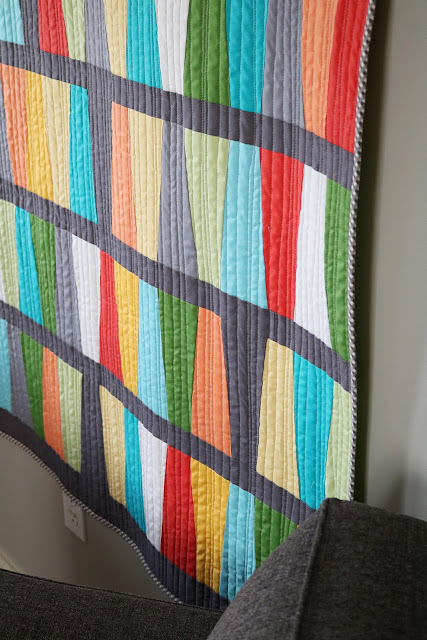 Today I thought I'd share some behind the scenes of a quilt that I've been working on lately. I'm calling this one Spring Stars. The soft, pastel colors are just what I'm needing right now. I'm getting really tired of gray, snowy days and starting to look forward to daffodils and tulips! Here are some of the fabrics I've pulled to use in this quilt. 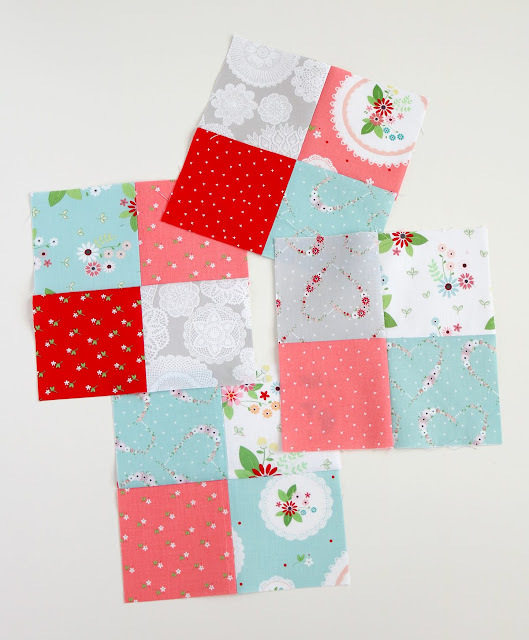 I found some of them in my stash, and I added a few that I bought in my local quilt shop. I'm loving the mint/pink/gray/yellow combo, but I'm thinking of adding in a few light green prints maybe to add more variety. What do you think? Add green? Or leave it as-is? Not only will it cut the funky diamond shapes (sweet! 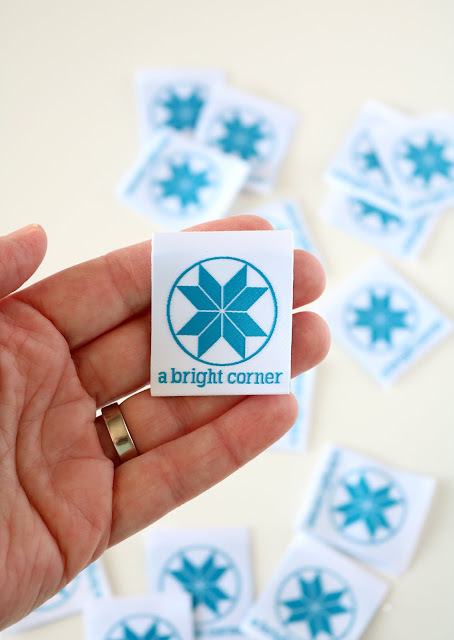 ), but it will also mark the 1/4" markings on each point. You can see the marker in the photo below. 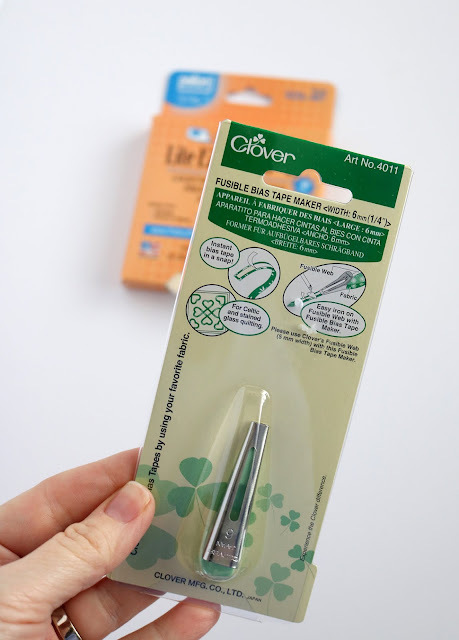 It's a washable fabric pen that I can pop right into the spot on the left. The cutting blade is on the right. 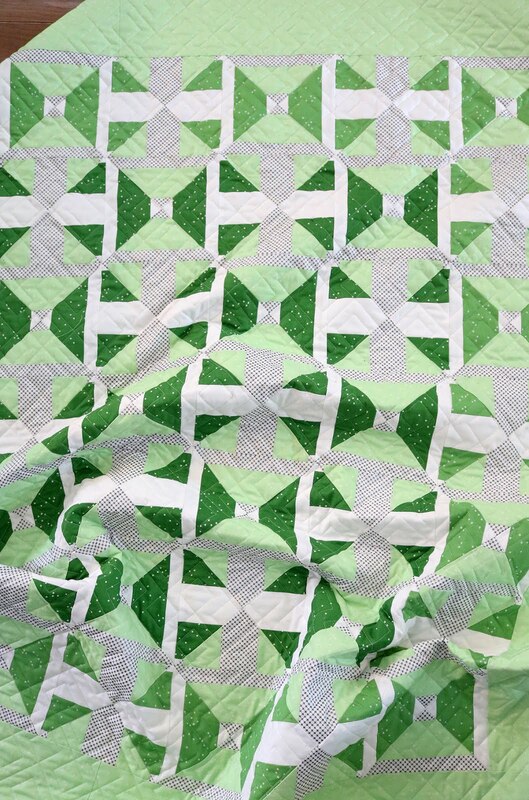 I also had the Cricut cut and mark all of the background (white) diamonds I would need for this quilt. I needed a TON of them but I just sat and watched Netflix while the machine worked it's magic. I had to stay close by to swap out the mats each time, but it went a lot quicker than if I was cutting and marking all of these by hand! Why do I need all of those little blue dots, you ask? They're super handy! They show me where to start and stop stitching when I'm piecing the block. 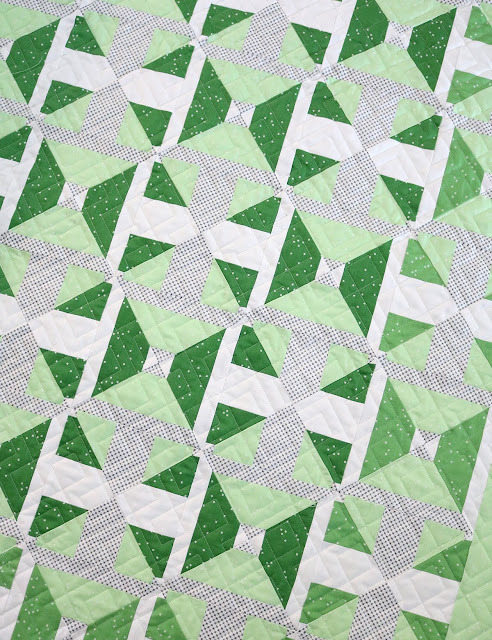 There are a lot of Y-seams in these blocks! 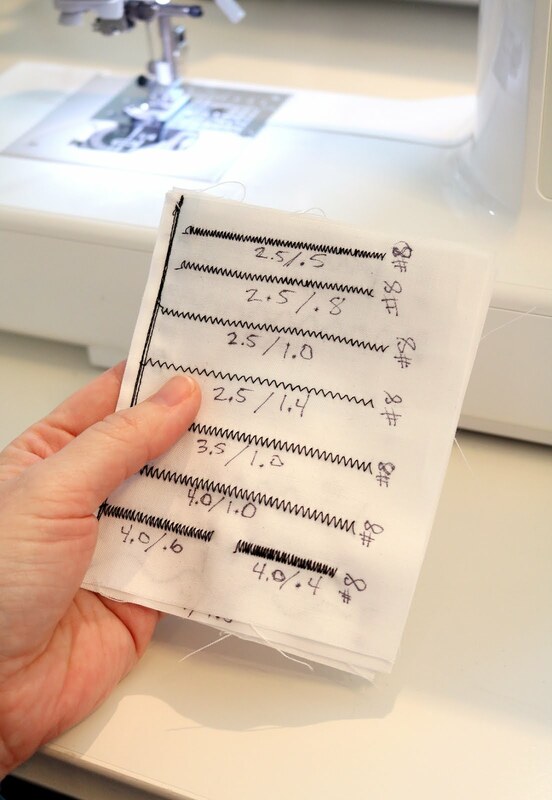 When you sew a Y-seam, you have to start and stop 1/4" away from the edge of the fabric. You can see in the photo below how my stitching stops at the dot. That will allow me to sew the white background diamond in next, along that edge. Don't worry...I'll be doing a tutorial on all of this soon. And I'll also add in some regular rotary cutting instructions for those of you that don't own a Cricut Maker. 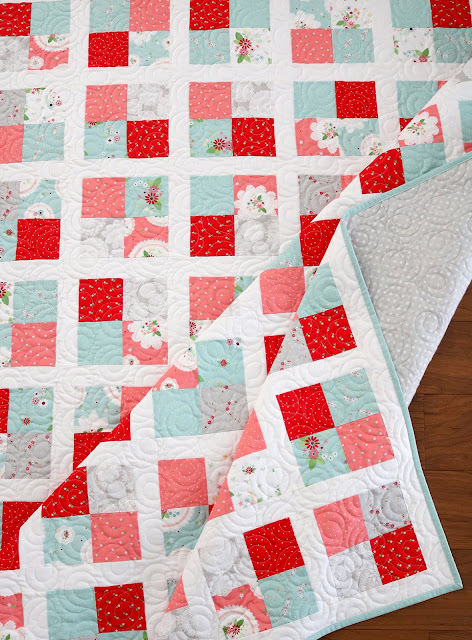 In the mean time, I have a lot of piecing to do and I'd better get to work! If you want to make sure you don't miss out on the tutorial, I recommend signing up for my newsletter here. P.S. 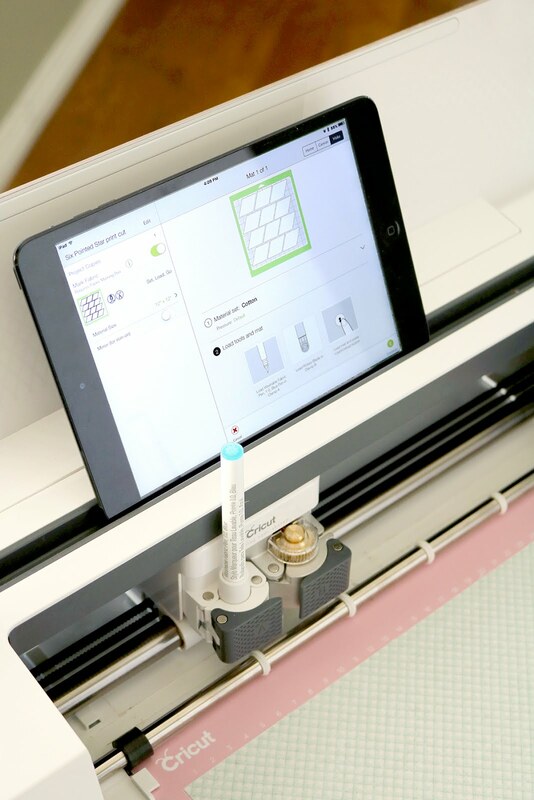 Want to know more about the Cricut Maker machine? Check out this post. 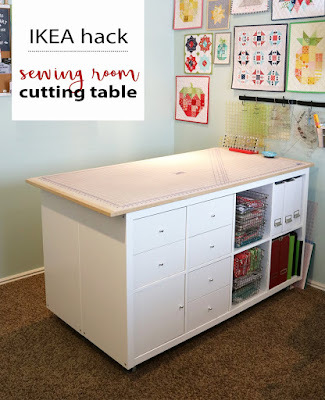 And you can find some fun Cricut Maker tutorials here on my Pinterest board! Are you familiar with Teresa Mairal Barreu? Perhaps you've seen some of the fun videos she has on her YouTube channel? That's how I became familiar with her work! Teresa (a.k.a. 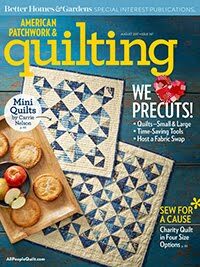 Teresa Down Under) invited me to make a quilt from her new book, Turnabout Patchwork and to be a part of her blog tour. 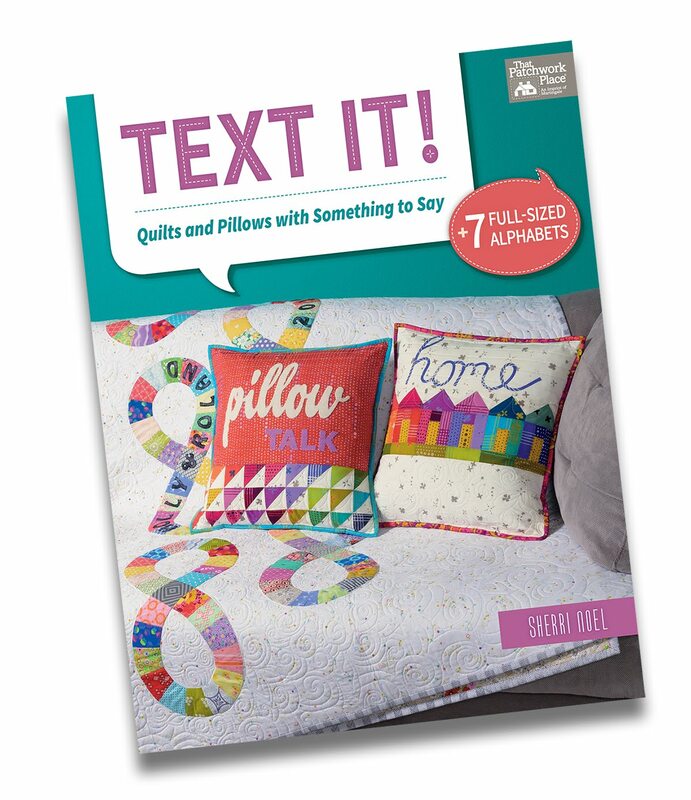 This book has some really clever quilt designs in it! 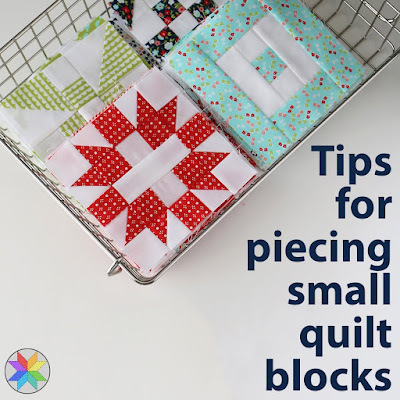 Each quilt starts out in the usual way - with a stack of quilt blocks - but then you slice them up and then flip or rotate them and sew them back together. 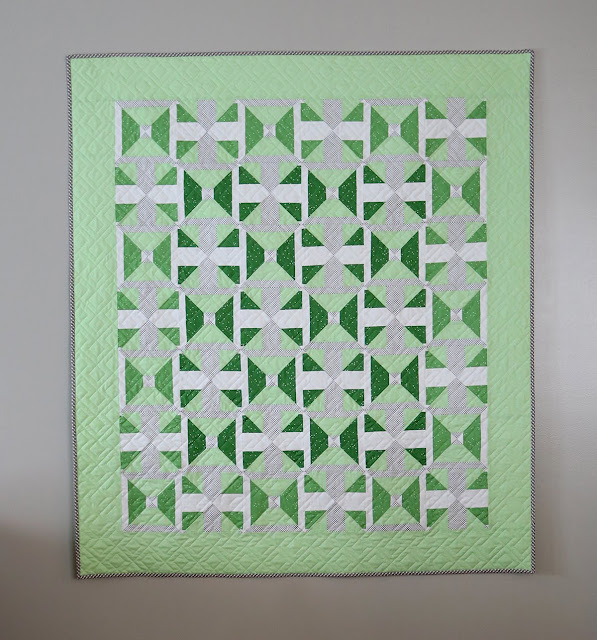 There are six different sections (one for each block technique such as the snowball block, shoofly block, etc) and each section also has variations - which makes a total of 23 quilt patterns. Using the fun techniques in this book you can get some really creative blocks - as well as some cool secondary patterns coming out in your finished quilt. The blocks for my quilt started with quick and easy strip piecing. 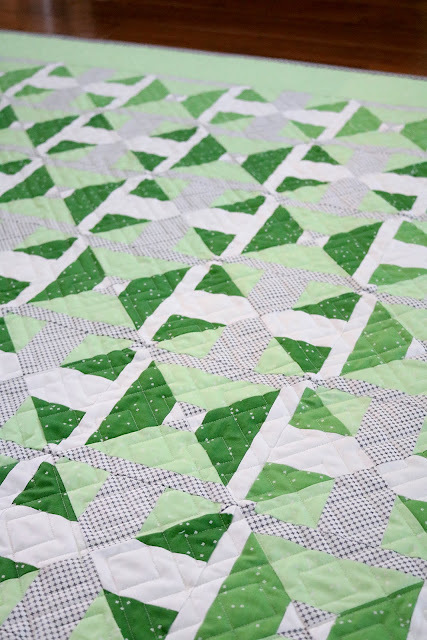 Each block was sliced diagonally twice, rotated, and then sewn back together. I decided to add one more layer of interest to my quilt by using a darker shade of green for the blocks in the center of the quilt. You can see it a little better when looking at the full quilt below. The green prints are all from the Blossom fabric line by Christopher Thompson (Riley Blake Designs) and the gray print is a Riley Blake Designs basic called Kisses. 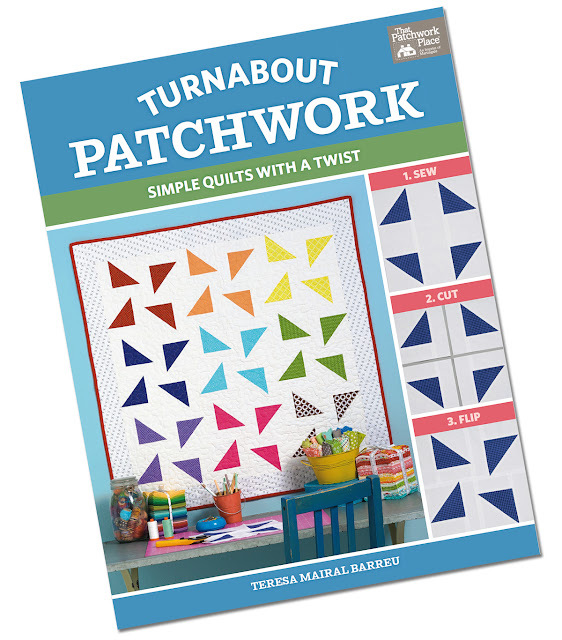 You can find the Turnabout Patchwork book here on Amazon, or here from the Fat Quarter Shop. 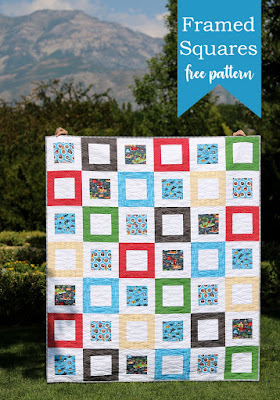 You can see Teresa's blog here - And on this post you can find the full list of the quilters that are participating in the blog tour. I did something a couple of weeks ago that I've been wanting to do for years. Years people. I ordered some custom woven labels. 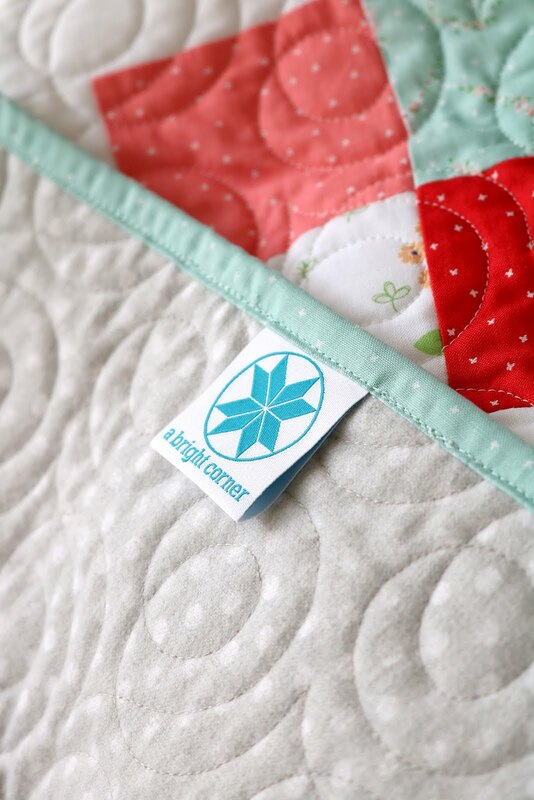 With each quilt I make I have intentions of adding a pretty label to the back with the name of the quilt and the date completed. 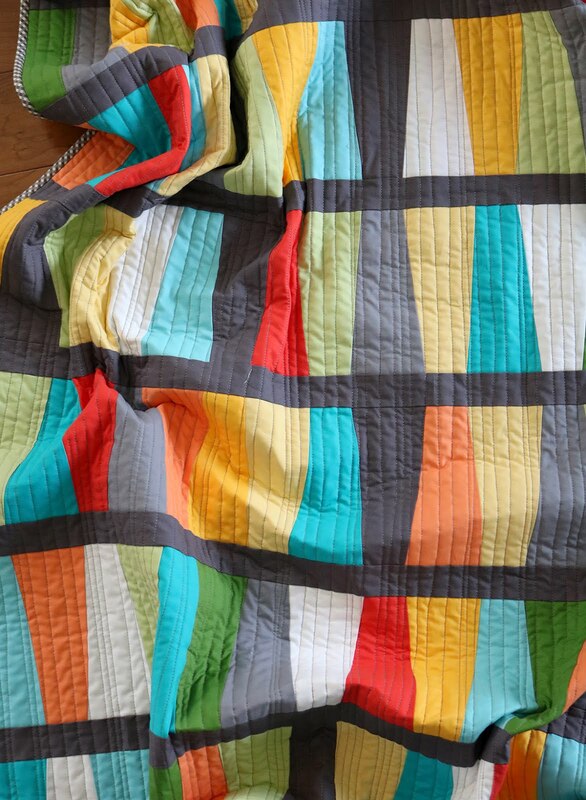 But out of ALL of the quilts I've made over the past decade only a handful have ever had a label. A few weeks ago Dutch Label Shop contacted me about trying out a batch of labels and I jumped at the chance. 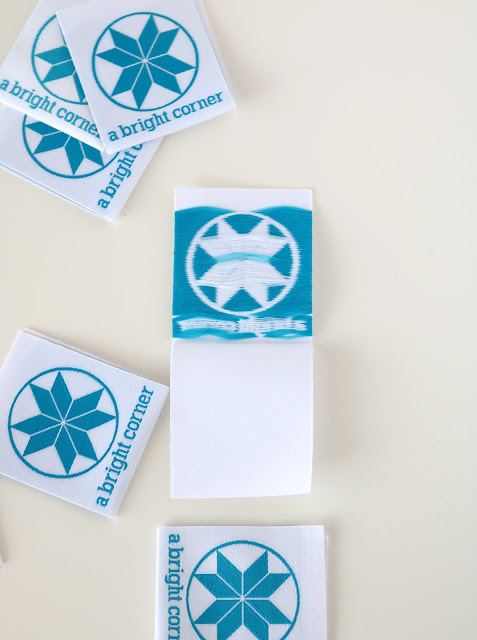 Here is what I decided on in the end - woven logo labels with a center fold. I uploaded a PDF of my logo and then began customizing. As a side note, there is also an option to do a basic woven label with just text on it and no fold. 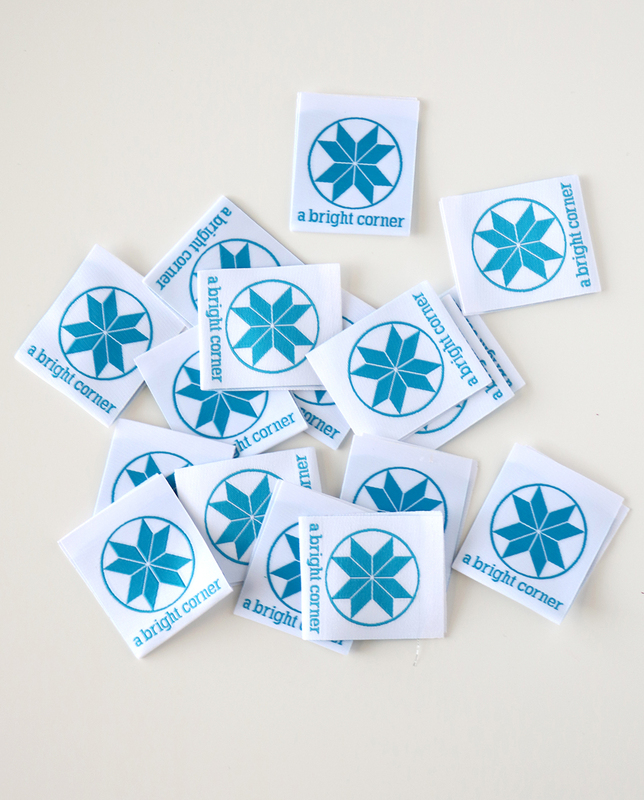 These will cost less and come with a sew-on or iron-on option. 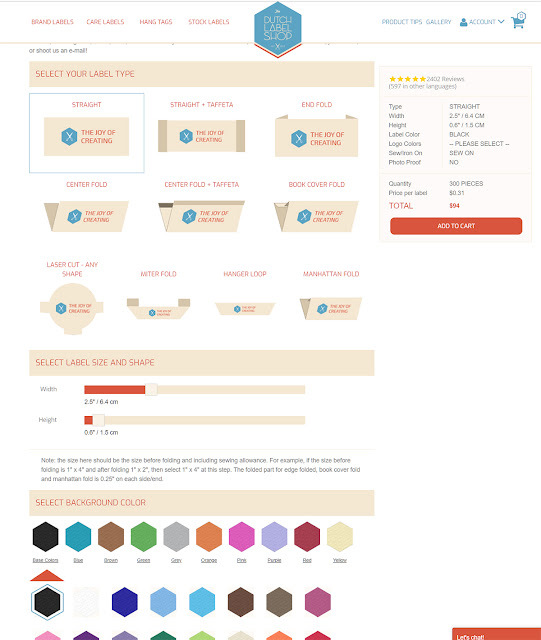 You can customize the label color, text color, font, and even add a little symbol - like a button, or spool of thread. 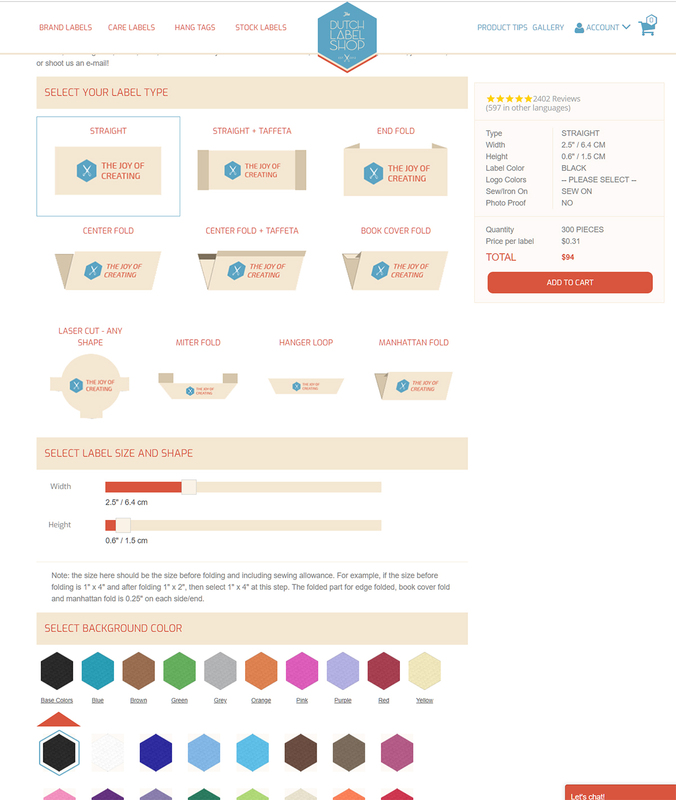 For the customized woven logo labels, this is what the ordering screen looks like. You can see all of the tag options shown, followed by the size selection, and below that the color selection area. The more you order, the less you pay per label. It's tempting to order a lot, but I would recommend first deciding how you'll use your labels and how often. I know I'll be using my labels mostly on quilts (not pillows or other small projects) so it should take me a couple of years to use these 50 labels. And by then, I might want a different style or color! The price of the labels depends on the size, colors, etc. you chose. My labels were 50 for $55 which works out to $1.10 each. 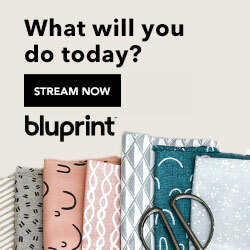 But yours will be different so I recommend just heading to their site and start designing! The price breakdown for your design is near the bottom of the screen and as you make changes you can scroll down to see how it altered the price. 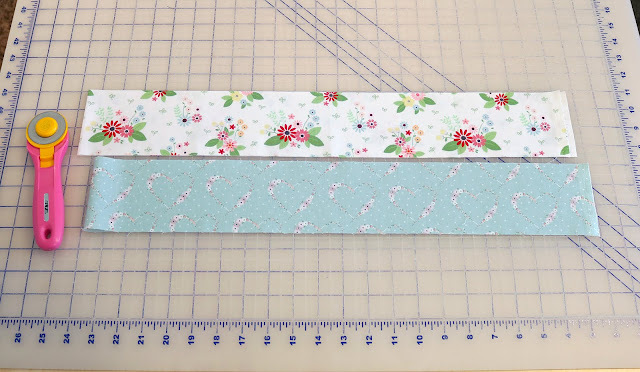 I ordered my labels to be 1.5" wide with a fold at the bottom, and 1/4" space at the top so I can sew the tag into a seam and not lose any of the logo (so total size is 1.5" x 3.5" unfolded). Here's a look at the inside of the label. I chose to add the double white feature which makes it so the dark threads aren't as noticeable from the front of the tag. 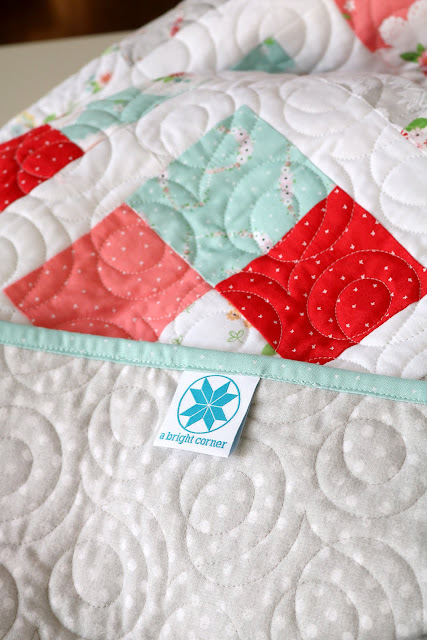 The fabric of the tag itself is a good quality - not thin, and durable enough to last as long as the quilt itself. I'm really pleased with the quality. When the labels arrived in the mail I lost no time in going back to add one to my most recently finished quilt. 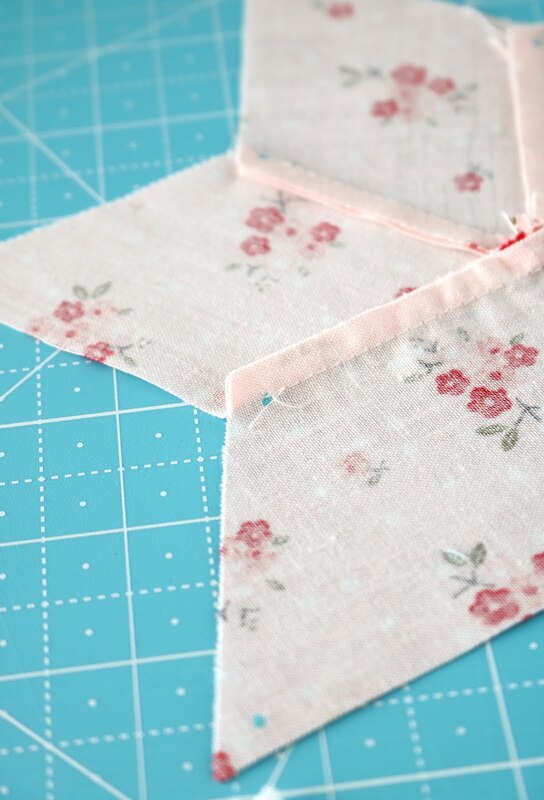 It was easy to just unpick a bit of the binding, insert the tag and then re-stitch the binding again. I found the ordering process to be simple and straightforward. The only drawback I found was that I was limited to only 7 colors (which is actually a lot!) but my original logo uses 8 colors. After thinking about it a bit I realized that an 8-color tag would perhaps draw more attention than I wanted it to and a simple 1-color version would be better. If you'd like to try your hand at making some custom quilt labels the Dutch Label Shop is offering a 15% off discount to all of my readers. Start designing your label here at the Dutch Label Shop and then enter the code andyknowlton15 when you check out! The code will expire on April 1, 2019. And let me know if you have any questions - I'd be happy to answer them! Well hello there! How is your January going? Have you started any new, fun projects yet this year? 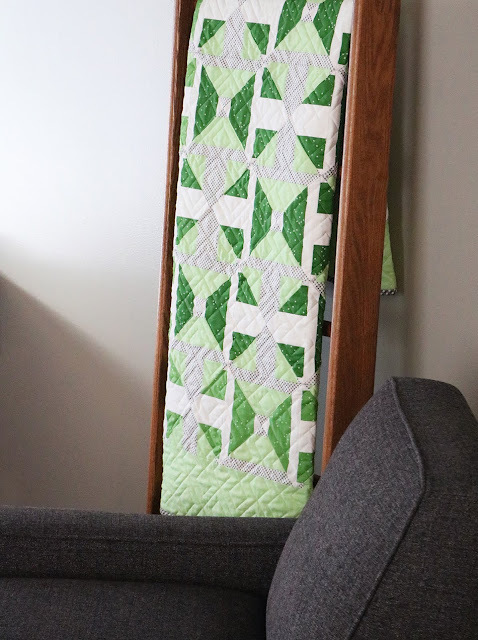 I've been catching up on some Splendid Sampler blocks, and I finished up this Framed Four Patch quilt this week. 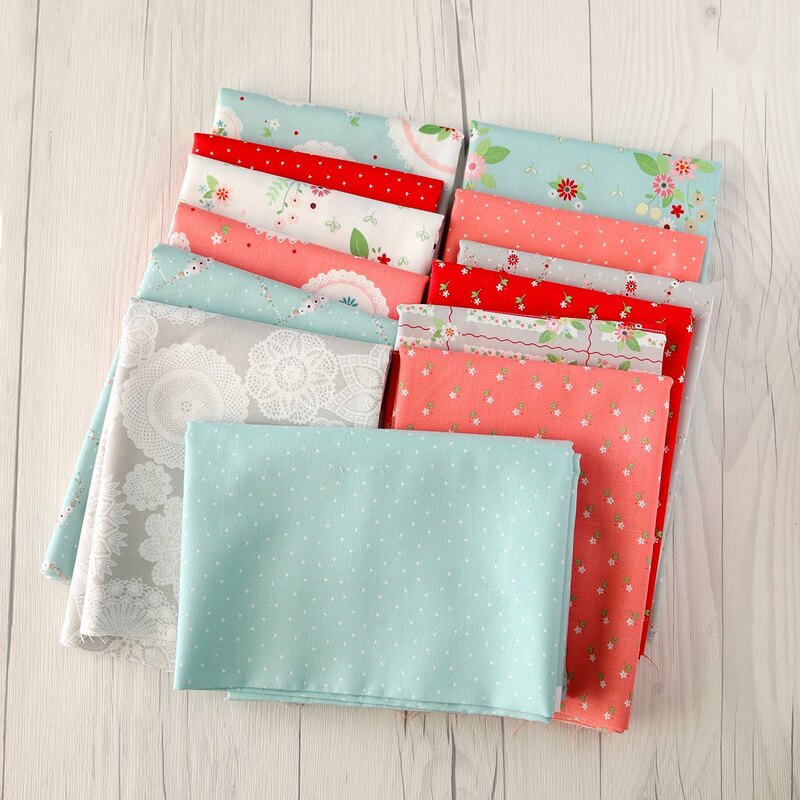 I've really enjoyed sewing with these pretty Vintage Keepsakes prints (designed by Beverly McCullough for Riley Blake Designs)-- they're just so sweet! 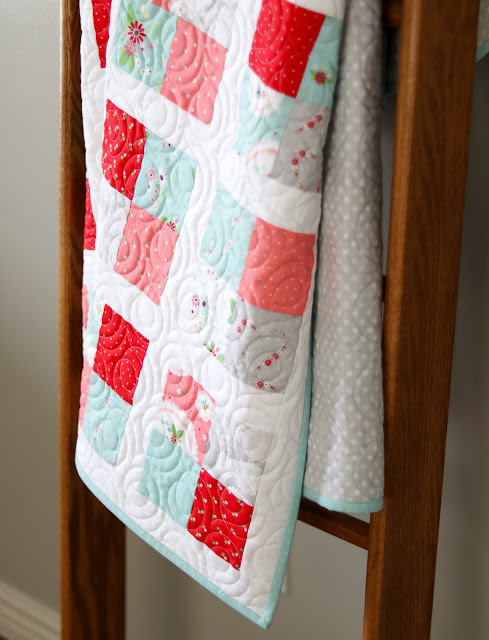 I've been kind of in a glum mood lately and this aqua/red/pink color combo has really brought some life back into my much-neglected sewing room. 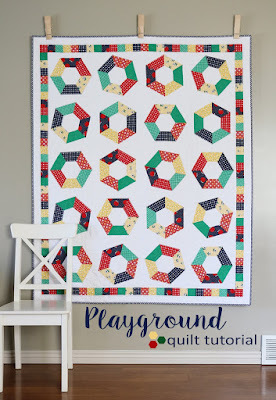 You can see more of the Vintage Keepsakes prints & projects here on Bev's blog. Don't you just love that gray doily print by the way? 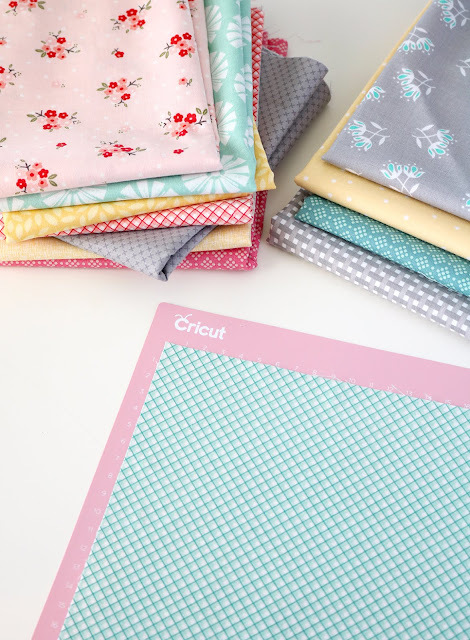 This fabric line should be in your local stores now, or you can find it online here at the Fat Quarter Shop. My Framed Four Patch quilt is filled with four patch blocks (obviously *wink wink*). The four-patch block is one of my go-to favorites! 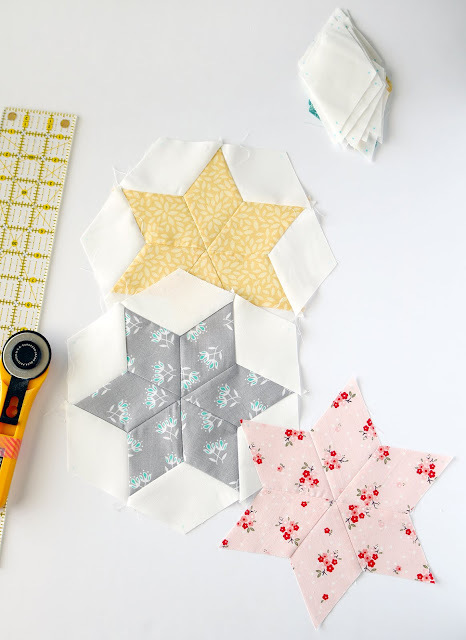 I have a speedy way to make four patches and by using this method I can crank out a whole stack of blocks in no time - and it makes this quilt SO fast to finish! 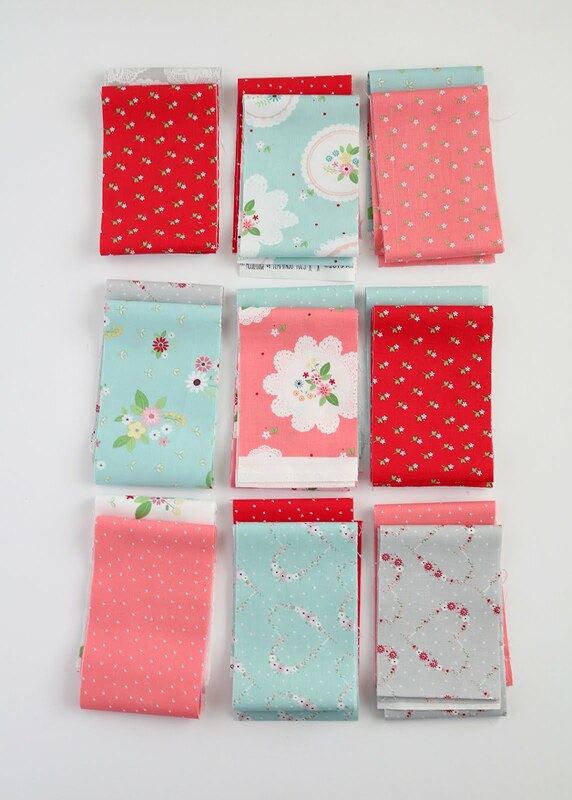 Here's a tip - before I start sewing strip sets together, I like to pair up my strips to I know I'll be getting a good variety of color pairings! Next you'll take two segments (from two different strip sets) and sew them together, matching the center seam. And there you go... one super-quick four patch block! There's a full pattern available for this Framed Four Patch quilt and the PDF pattern will be going out in my next newsletter. 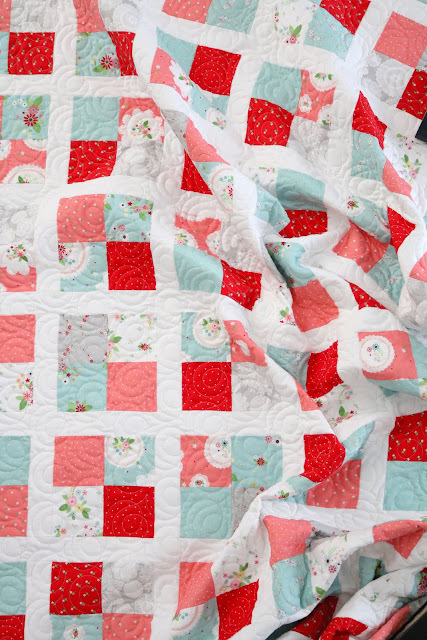 So if you'd like access to the quilt pattern be sure to sign up for my newsletter here - don't miss out! 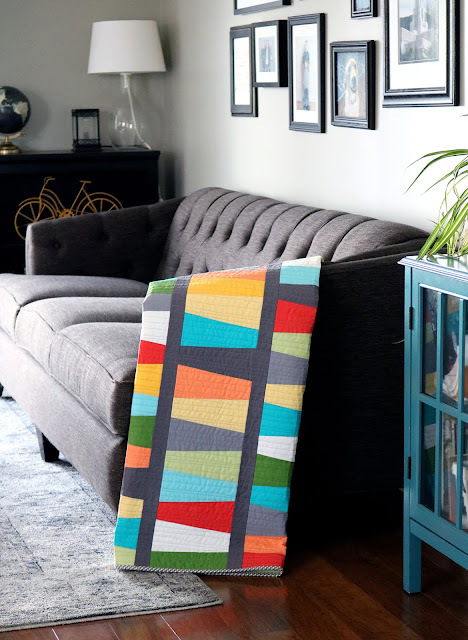 The final Framed Four Patch quilt measures 54" x 69" and is backed in a cozy, gray polka dot flannel. The quilting design is called Soho and it's one of my favorites. It looks good on just about everything! 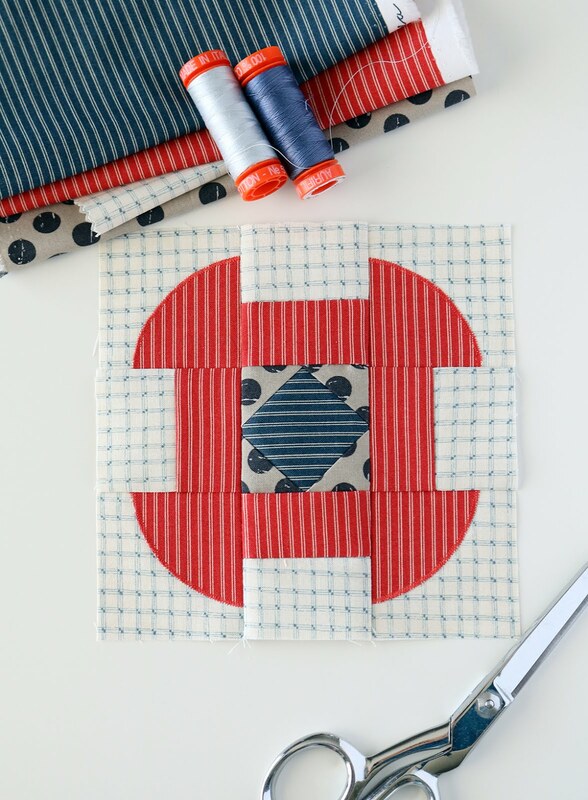 Be sure to add the image below to your quilting Pinterest board so you can find it later when you need it! And if you haven't signed up for my newsletter yet, you can do that here.